The Write A Game Challenge! A game jam about game writing! 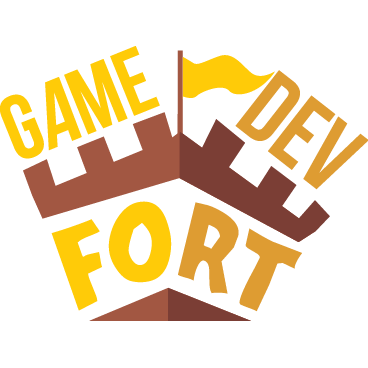 Several $ prizes in Game Dev Fort Store Credit + more to be confirmed! 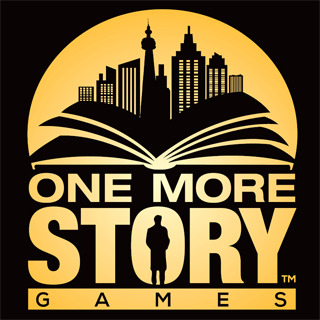 Books related to game writing for each winning team! The jury wants to congratulate all the WAG Challenge participants. The judges are blown away by the high quality of the entries and by what people pulled together in only a month! There were extraordinary games made during this contest. All the participants should be proud of their work. It's not easy to create something powerful and meaningful in such a short time frame. Congrats again, everyone! The judges loved the writing of The Hollow. Polished to a shine, this game delivers a rich, nuanced story, with good characterizations and dialog. It addresses the nature vs. nurture question, but set in the world of animals specifically. It's also a smart take on grief and parental death in fairy tales. Great job, guys! The judges love Eravola for its subtlety. The branching narrative suggests the larger story more than it outright states it, and the "down the rabbit hole" connection is there without being blatant. Framing devices like screen skipping and a character index complicate this story of a sage's visit to a small town and the tragedy that follows. As the central mystery develops, Eravola's story becomes more complex. It left the judges wanting more. The members of the jury appreciate Triskele's fantastic and lively lore. They are impressed by how the world opens up based on seemingly mundane choices. The writing reminds them of Ray Bradbury, China Mieville; and the judges played several playthroughs in the hopes of finding out more about the story and the different endings, so kudos for that! pro jury Tobias Heussner, Ann Lemay, Anna Megill and John Ryan! A story about the origin of all the stars in the sky and the people who loved among them. The death of a close relative, and the flight home. The sun has died. You have been seduced to Edinburgh below the Stair. But at what price? A world that is only legible to him. Clockwork Benny is a critique of the human condition. It's also a fun game with bloodz, man. Our first attempt at a little VN game! The Creator and The Andriod; A Kinetic Visual Novel. To be played in the dark, with only headphones on. Turn up your volume. What would you pay in order to save your world? Can Brother Cruoix make it to Head Brother Seinte in time? The story of a broken home. A 1930s detective agency is hired to recover a mysterious book that has been stolen. In search of a missing person on an abandoned asteroid mine. A dark story about twisting perception and identity and truth. Sometimes, there are no winners, only different ways to lose. But, hopefully, different ways not to lose oneself. A text adventure following a soldiers last hours. A top down narrative that never is what it seems. How do you cope with nothing? A story about love, betrayal and the paths invisible. Norman is a man like any other. Until one day he's not. Explore the stories of three different paintings in a mysterious art gallery. Van Gopher and the Artisanimals solve the mystery of the SS Easel. A werewolf who owns a bar. A little bunny goes looking for her mother. A simple tale involving a light in the distance. Why is it that we see things on a different perspective when it's too late? Explore the exciting parts of everyday life, before confronting something we all hope to avoid. A piece of interactive fiction about luck. What happens to your Imaginary Friend when you grow up? Can you transform your life in three days?